Analysis: Chancellor has a massive financial incentive to hold off on retirement, as his three-year, $36 million contract is fully guaranteed for injury. The deal runs through 2020, with Seattle unable to get out of it unless the 30-year-old eventually is able to pass a physical. Chancellor isn't expected to return to football, as the neck injury he suffered in Nov. 2017 leaves him vulnerable to an even more severe head/neck injury. Chancellor (neck) was placed on the reserve PUP list Thursday, Michael-Shawn Dugar of The Athletic Seattle reports. Analysis: Chancellor sustained a neck injury last season, leading to his placement on the PUP list. The once great safety was a dominant player for the Seahawks, but he announced his intention to retire as a result of his injury a month ago and it's likely only a matter of time before that becomes official. Chancellor (neck) announced his retirement from football Sunday after scans on his neck 'showed no healing', per his official Twitter account. General manager John Schneider said Monday that Chancellor has a scan scheduled for late June or early July to determine his playing future, Bob Condotta of The Seattle Times reports. Chancellor (neck) is unlikely to retire this offseason, Brady Henderson of ESPN reports. Head coach Pete Carroll told 710 ESPN Seattle on Tuesday that Chancellor (neck) may not play again. 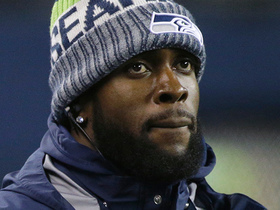 "Cliff [Avril] and Kam [Chancellor] are going to have a hard time playing football again," Carroll said. "The jury is not out on that yet." Analysis: Chancellor didn't take another snap after injuring his neck Week 10. The strong safety opted to avoid surgery on the region with the hope rehab will get him back into playing shape. However, Carroll's comments sung an ominous tone with three years remaining on Chancellor's contract. Expect Chancellor and the Seahawks to explore every option at his disposal in the coming months. The Seahawks placed Chancellor (neck) on injured reserve Saturday, Tony Drovetto of the team's official site reports. 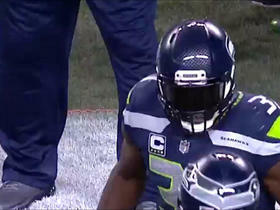 Chancellor (neck) was ruled out for Sunday's game against the Rams, John Boyle of the Seahawks' official site reports. Analysis: Chancellor was expected to be placed on injured reserve in late November after head coach Pete Carroll indicated he would not return this season, so the situation is anything but simple. Until stated otherwise, the veteran safety should not be expected to return this season, but the injury evidently isn't as clear-cut as initially indicated. Head coach Pete Carroll said Monday that Chancellor (neck) doesn't require surgery at the moment, Curtis Crabtree of Sports Radio 950 KJR Seattle reports. Seahawks head coach Pete Carroll confirmed Monday that Chancellor (neck) would be shut down for the remainder of the season, Josina Anderson of ESPN reports. Analysis: The Seahawks originally ruled Chancellor out for Week 11 after he was sidelined at practice throughout the week, but it now looks like his neck injury is severe enough to keep him out all season. 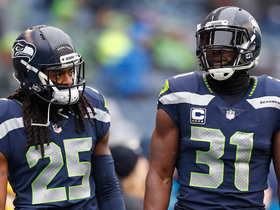 Seattle's secondary will now be without Chancellor and Richard Sherman (Achilles) for the rest of the year, which certainly figures to affect the team's results on the field. Delano Hill, a rookie third-round pick, will presumably fill in for Chancellor. Seahawks teammate Earl Thomas (hamstring) provided a strong hint that Chancellor (neck) isn't expected to play in Monday's game against the Falcons, Curtis Crabtree of Sports Radio 950 KJR Seattle reports. Analysis: Chancellor missed Thursday's practice and isn't expected to take part Friday. 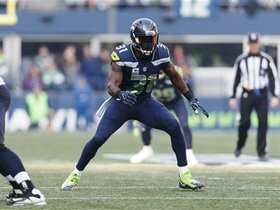 Thomas is on track to return from an injury of his own, but the Seahawks still are likely to be without two standouts in the secondary -- Chancellor and Richard Sherman (Achilles) -- when they face the Falcons. Bradley McDougald could get another start at safety, this time replacing Chancellor instead of Thomas. According to head coach Pete Carroll, there are currently no updates on Chancellor's (neck) status, Ryan Divish of The Seattle Times reports. "He's still getting some work done and tests done," Carroll said. "We don't have anything updated yet." Analysis: Chancellor suffered a stinger at the end of last Thursday's win over the Cardinals -- one of many Seahawk injuries suffered during the contest. If the safety is sidelined for Monday's game against the Falcons, it would likely be Bradley McDougald getting the start at strong safety. Seattle could really benefit from having Chancellor on the field Monday night, considering that Earl Thomas (hamstring) is still uncertain for the contest and Richard Sherman (Achilles) is out for the season. Chancellor sustained a stinger in last Thursday's win over the Cardinals. Analysis: Chancellor played 71 of 80 defensive snaps and had his best game of the season with 10 tackles (nine solo) and a forced fumble. The 29-year-old will continue to be evaluated as the week wears on, and his practice participation or lack thereof should provide a bit more clarity to the situation. Chancellor compiled 10 tackles (nine solo) and a forced fumble in Thursday's 22-16 win over the Cardinals. Analysis: Chancellor only had two prior games this season with over five tackles, so it's clear the Seahawks are leaning on him more in the absence of fellow safety Earl Thomas (hamstring). There's no clear timeline for Thomas' return, so expect more elite performances in the near future for Chancellor. Chancellor (ankle) is listed as active for Sunday's game against the Redskins. Analysis: Chancellor was expected to be ready for this matchup, which is crucial since fellow safety Earl Thomas (hamstring) is sitting out. The Seahawks will have a good test Sunday against a steady Washington pass attack, so Chancellor should have ample opportunities to be a solid IDP threat. The Seahawks are listing Chancellor (ankle) as questionable for Sunday's game against the Redskins, but head coach Pete Carroll relayed that the strong safety is "fine" to play in the contest, Gregg Bell of The Tacoma News Tribune reports. Analysis: According to Bob Condotta of The Seattle Times, Chancellor was a full participant in practice Friday, clearing up any concern about the four-time Pro Bowler's status. While Chancellor should be in store for a normal snap load Sunday, he'll have to adjust to a new partner in the defensive backfield, as Earl Thomas (hamstring) has been ruled out for the contest. Bradley McDougald is slated to pick up the start at free safety in place of Thomas. Chancellor (ankle) didn't take part in practice Wednesday, John Boyle of the Seahawks' official site reports. Analysis: Chancellor underwent offseason surgery to remove bone spurs from his ankle, so Wednesday's absence may be a rest day instead of a more recent development. His listing on ensuing injury reports this week will determine whether this is the case. 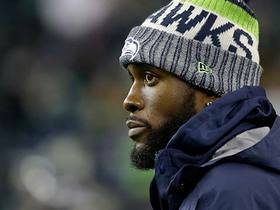 Seattle Seahawks safety Kam Chancellor addresses his future in the NFL via social media. 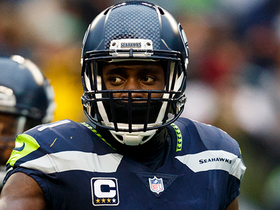 NFL Network's Mike Garafolo reports the latest on the likelihood of Seattle Seahawks safety Kam Chancellor returning to football in 2018. 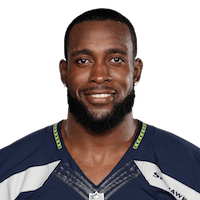 Seattle Seahawks safety Kam Chancellor is voted number 75 in the NFL by his peers on "Top 100 Players of 2018." 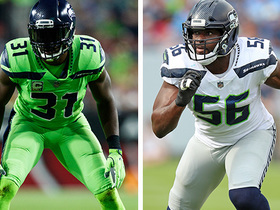 NFL Network's Omara Ruiz explains why the Seattle Seahawks released defensive end Cliff Avril, and what the future may hold for safety Kam Chancellor. NFL Network Insider Ian Rapoport discusses some of the key names that may not be returning for the Seattle Seahawks next season. NFL Network's Mike Garafolo talks about the injuries on the Seahawks defense and if the team can win without safety Kam Chancellor. 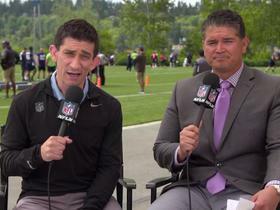 NFL Network's Omar Ruiz and Michael Silver discuss how the Seattle Seahawks will adjust without cornerback Richard Sherman and safety Kam Chancellor. 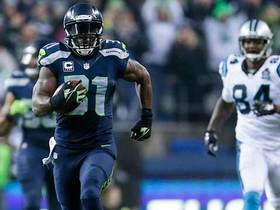 NFL Network's Insider Ian Rapoport has the latest on Seattle Seahawks safety Kam Chancellor being out for the rest of the 2017 NFL season. 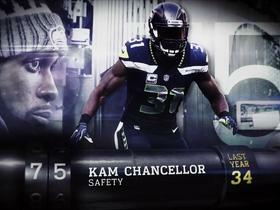 NFL Network insider Ian Rapoport gives injury updates on various Seattle Seahawks players and safety Kam Chancellor.